State Representative Dan Brady has been named a “Guardian of Small Business” by the National Federation of Independent Business (NFIB). The Guardian of Small Business award is the most prestigious honor that NFIB bestows on legislators in recognition of their efforts to help small businesses throughout Illinois thrive and create jobs. 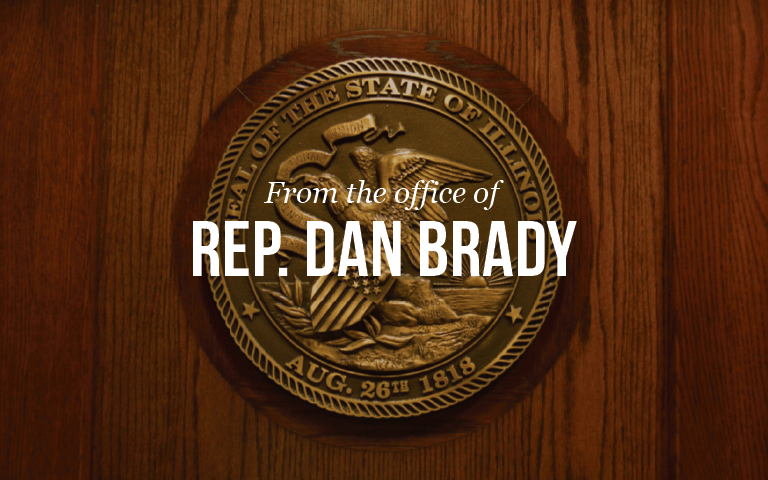 Representative Brady (R-Bloomington) is being honored for his near-perfect voting record in support of Illinois’ small businesses. “The NFIB has over 11,000 small business members in Illinois who count on lawmakers, the governor and other elected officials to foster a competitive business environment through limited government, fewer regulations and market-driven public policies,” said Kim Clarke Maisch, NFIB/Illinois State Director. Rep. Brady received a near-perfect 86% positive voting record on NFIB- supported bills to create jobs during the 2013-2014 legislative year. His pro-small business voting record can be viewed at www.nfib.com/IL.